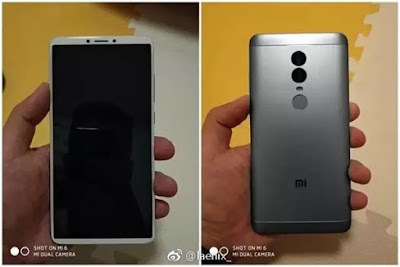 Xiaomi is working on 18:9 aspect ratio phone we have heard a lot of Rumors about Xiaomi FullView Display phone now a new Redmi Phone with 18:9 Display has been leaked in images which could be Redmi Note 5. It looks similar to the renders of Redmi Note 5 which was leaked a few days back. It will feature an FHD 18:9 display, Powered by Qualcomm Snapdragon 660 SoC or Helio P25 with 3GB or 4GB RAM and 32GB or 64GB storage options. For Packed with a 4,000mAh Battery. Connectivity Options include 4G VoLTE, Wi-Fi, NFC, GPS.expected to come with Dual Rear camera 16-megapixel.